Instagram has swiftly become the top app in the social media marketing world, and brands are just scratching the surface of its full potential. Instagram has more than 500 million users who use the platform daily, and as a result, marketers are keen on riding this wave for future advertising efforts. This article lays out four primary reasons that contribute to the success of Instagrams competitive engagement levels. Instagram has reached 1 billion monthly active users, and of these users, there are more than 500 million who use the platform on a daily basis. Founded in 2010, and now just over 8 years later, this app is a tough competitor due to its ability to keep a wide variety of users engaged. The objective of the platform is clear - to provide a public space where people can share videos and pictures - but the best way for brands to make full use of this platform still remains to be completely understood. For a number of years Facebook, without much competition, held the spot for the top performing platform in social media marketing. 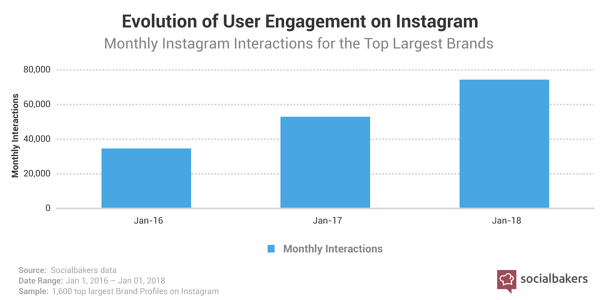 However, in the last few years, Instagram has been able to catch up and surpass this benchmark and as a result, marketers are showing far more interest in advertising via Instagram. Despite not having the largest audience, for example in comparison to Facebook who has 2.32 billion monthly active users, or having the highest activity volume, compared to Twitter - Instagram’s engagement is higher than both of these platforms. What makes Instagram more engaging? The new Instagram algorithm favours content that is relevant. They want to provide users with the best experience, and to achieve this, the feed ranking system is under continuous improvement and change, based on the data it collects. To the dismay of many, in the summer of 2016, Instagram decided to let go of its chronological feed by replacing it with an algorithmic one. Despite a great lack of enthusiasm for this update, it creates a feed that prioritises content specifically relevant to each user. This now allows them to see 90% of their friends’ posts in comparison to the 50% of friends’ posts they were previously missing. As shown in the graph below, users are not the only ones to benefit from this algorithmic feed, as brands saw their monthly interactions almost double. Users under the age of 25 are found to use the app for an average of 32 minutes a day, whereas those above the age of 25 are said to use it for an average of 24 minutes each day. The time users spend on Instagram is only increasing with time, meaning users are allowing themselves to find more interesting content and engage with it. The essence of Instagram was founded on ‘pretty’ pictures, and this appeals to audiences far more than any accompanying text. 40% of people will respond to visual content more than any accompanying text. Visual content can be processed 60k faster than written text which equates one visual piece of content to being worth 60,000 words. These numbers are hard to ignore. 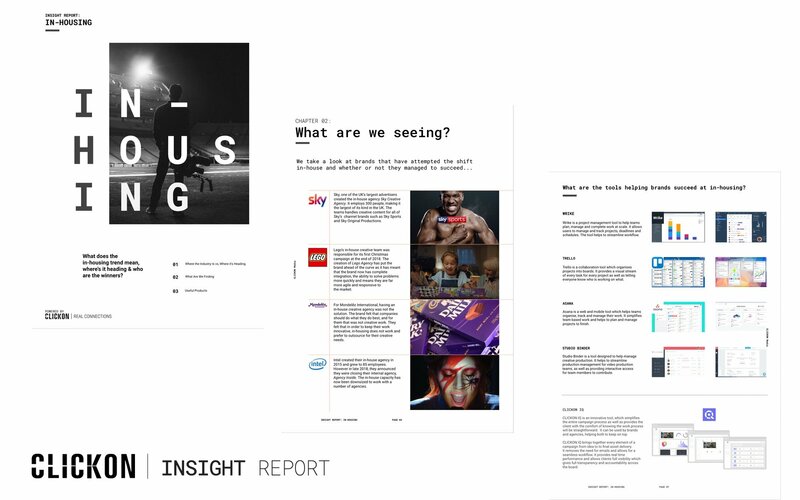 If brands want their content to make a lasting impact, it is imperative to pair the written text with a visual image. Similar to when consumers read text, when they hear information they are most likely only going to remember 10% of what they heard three days later. But, if a relevant image accompanies that information, the retention more than triples after three days. This is not to say that you should avoid including written text in your content plan, but including a relevant visual will catch your users’ eyes as they are scrolling. Instagram is not confined to their well thought out news feed. With Instagram stories and now IGTV, users are continually exposed to new and visually exciting content. This provides content creators with a multitude of ways to promote their creativity. The range of content provided on Instagram really is limitless, and the ease at which Instagram allows users to find and engage with this content means they are encouraged to interact. ← Is High Street Shopping Making A Comeback?